SDS announces its newest outlet which is set to open on 28th November 2017, Tuesday, at 1F-22, first floor of Paradigm Mall Johor Bahru. The debut of the newest outlet, marks the 27th outlet owned by SDS, brings excellent and affordable food to Skudai township which consists of more than 200,000 local residents. Brand new café menu and dessert menu will be launched at the newest outlet. SDS customers are able to enjoy newest appetizing cuisines including local favourites, Asian and Western fusions, dessert, and Gelato selections at the newest outlet. “A much anticipated café in Skudai area is finally launched after a long wait,” said Ms. Alice Loh, Marketing Manager of SDS. The opening of Paradigm Mall crafts the biggest shopping complex in Southern region of Malaysia. It is integrated with shopping, entertainment, food and beverages under one roof. 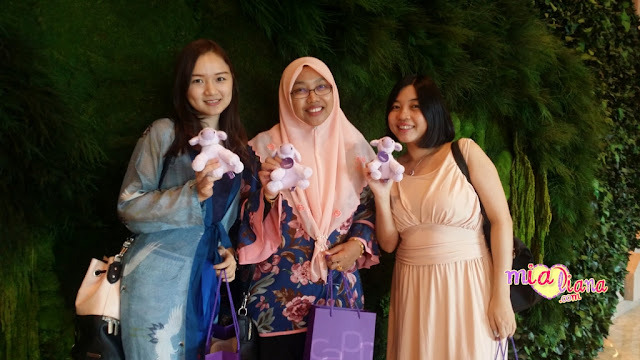 Located at strategic location which is surrounded by major expressways in Johor, Skudai Highway, Pasir Gudang Highway, North-South Expressway, and Second-link Expressway, Paradigm Mall is expected to attract numerous local and Singaporean shoppers. SDS newest outlet is set to open at 10a.m. in accordance with the opening of Paradigm Mall on 28th November 2017. Opening special promotion in SDS newest outlet will be carried out for two days, on 28th November and 29th November. During the two days’ promotion, customers who dine in SDS at Paradigm Mall are able to enjoy buy 1 free 1 on selected delectable café food and Gelato scoop. Free breakfast pack, discount vouchers, magazines and goodies are prepared to giveaway to early birds, while stock lasts. Moreover, customers who sign up for SDS member cards are eligible for free card holder during the opening promotion. “An affordable fine dining is perfectly completed with delectable dessert,” Ms. Alice added. 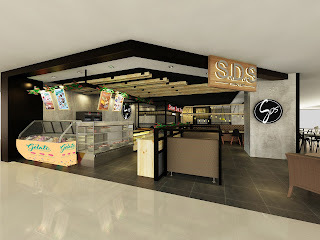 SDS new menu is available at their newest outlet at Paradigm Mall Johor Bahru. It was launched subsequently at all outlets since November 2017. SDS outlets in Johor are located at AEON Bandar Dato’ Onn, AEON Tebrau City (Fanpekka Cafe), Johor Jaya, JB City Square, AEON Kulaijaya, Taman Perling, Taman Universiti, Kota Tinggi, KSL City Mall, AEON Bukit Indah, Larkin Sentral, Plaza Pelangi, S’Mart, Giant Plentong, Masai, Ulu Tiram, Kota Raya, Kangkar Pulai, Setia Indah, Kota Masai, and SDS Bakery at La Boheme AEON Tebrau City, AEON Kulaijaya, AEON Permas Jaya, AEON Bukit Indah, AEON Taman Universiti, and AEON Bandar Dato’ Onn.